The U.S. government may have broken its own law by providing support to the South Sudanese military, which has displaced over a million people in what the U.N. labeled "ethnic cleansing," according to an AP investigation. Per the AP, this is the "largest exodus of civilians in Africa since the Rwanda genocide in 1994." Why it matters: Kate Almquist Knopf, director of the Africa Center for Strategic Studies at the U.S. Defense Department, told the AP this is happening "on America's watch." South Sudan's government received over $1 billion a year in support under both the Bush and Obama administrations. And in 2016, a letter from President Obama to Congress allowed training for the South Sudanese army, which "circumvented a law blocking U.S. support for countries that use child soldiers," the AP reports. The law in question says that the U.S. is prohibited from supporting "any unit that has committed a gross violation of human rights." 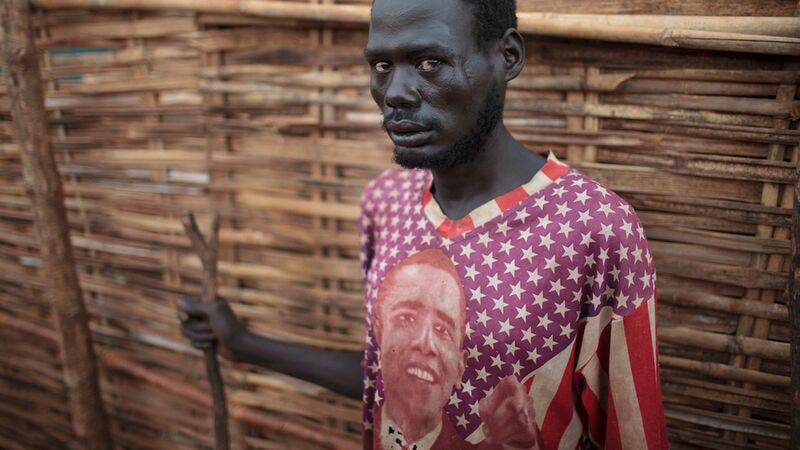 Obama sought a long-term relationship with the South Sudanese military, trying to "fix" it, the AP reports. That was after South Sudanese soldiers "killed a journalist, gang-raped women and beat people, including Americans, as they rampaged through a hotel." The United Nations decided two months ago to establish a permanent peacekeeping force in Yei, per the AP, and it now has troops on the ground three weeks out of every month. Sen. Patrick Leahy called U.S. support a "red flag." A State Department spokesperson told the AP that those who received U.S. support were vetted. The bottom line: A South Sudan researcher, Alan Boswell, told the AP that the U.S. stance was that America did not cause the problem, which meant "we were not going to try and stop it." Why you'll hear about this again: U.S. ambassador to the U.N., Nikki Haley, is visiting South Sudan next week to seek a solution to the ongoing, four-year conflict. This post has been updated to reflect the UN's permanent peacekeeping force in Yei.